France are refusing to comment on accusations they were guilty of eye-gouging during Sunday's Rugby World Cup defeat to New Zealand. 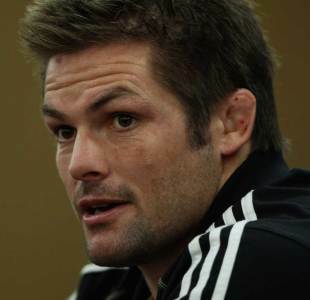 Rugby commentator Keith Quinn told Radio New Zealand that All Blacks skipper Richie McCaw was the victim of eye-gouging towards the culmination of the close final, which the All Blacks ultimately won 8-7. The IRB confirmed the citing period for the match had expired and it had received no formal complaint. However Quinn is standing by the allegatioins and claimed it was confirmed by a source close to the All Blacks.